Our state-of-the-art service center has all the equipment needed to run a variety of service and repairs, and we use genuine OEM parts made for your vehicle. We also have a team of highly-qualified certified technicians that specialize in Honda models performing each and every service. Count on us for maintenance services such as brake inspections and replacements, oil changes, tire rotations, and more! 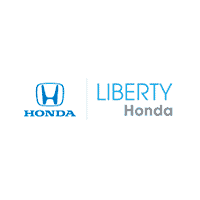 Next time you are in need of regular maintenance or repairs, schedule an appointment with Liberty Honda near Manchester. Before you visit, check out our selection of service specials for additional savings!